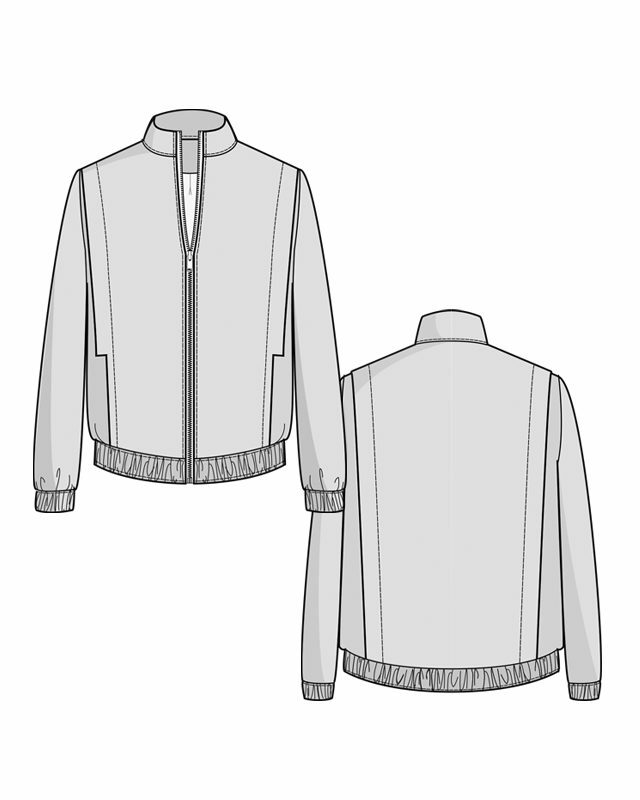 Buy the Cedre Jacket sewing pattern from Orageuse. 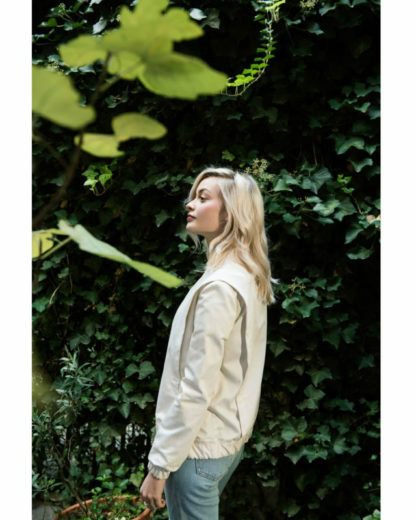 The Cèdre blouson is a straight fitted jacket with elasticated waistand and cuffs. It is closed by a zipper at the center front, with a high collar and vertical cut outs that create a topstitched pleat. This pleat hides pockets and the blouson is fully lined. Choose a medium weight woven fabric. 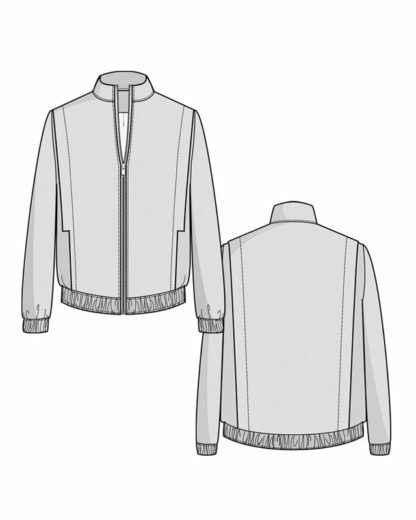 Avoid fabrics that are too stiff, thick or slippery ; sewing the cut-outs on the front of the blouson will be more difficult if you do. As far as fibers are concerned, cotton and wools can be appropriate. Opt for fabrics such as canvas, denim, satin, velvet, serge, tweed, Jacquard, wax… Use a slippery lining for more comfort.